We usually see the house covered with walls, but with the design of this tropical house it almost reveals everything. 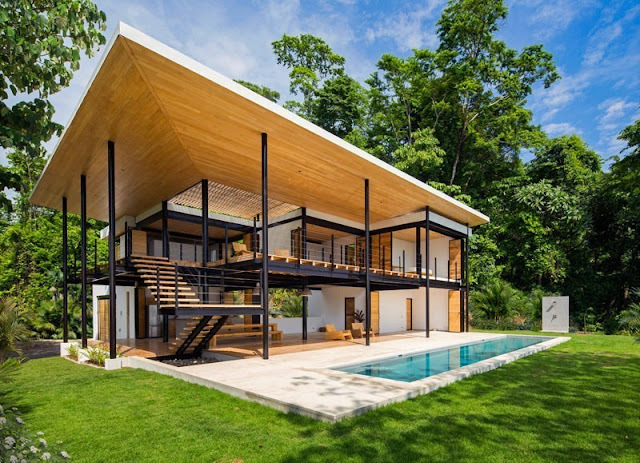 This tropical house is located in Puntarenas, Costa Rica. Design by Benjamin Garcia Saxe , the location of this house is close to the jungle and the beach. This house uses open concept in its design. The house looks like it reveals almost completely so you can look directly inside from the outside. There may be less privacy, but this is a pretty unique idea and design. The walls of this house are made of special wood and can be adjusted to open or close.